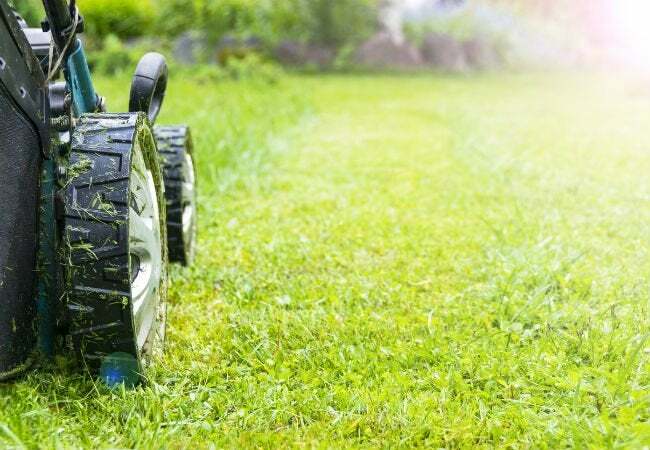 Learn the pros and cons of both plug-in and battery-operated lawn mowers, how they stack up against their gas-powered counterparts, and which models earned the best reviews. If you’re ready to upgrade to a new lawn mower but aren’t sure you want a traditional gas-powered model, consider going electric. Not only would you be able to bid goodbye to jerking a pull cord, replacing fouled spark plugs, and storing flammable fuel, you’d be doing your part to reduce carbon emissions. But electric mowers do have their downsides when it comes to power, price, and even safety. So read on to understand the pros and cons, figure out what features to look for when shopping, and get the 411 on our three picks for the best electric lawn mower according to all of the reviews. Electric mowers cut grass the same way gas-powered mowers do: Spinning rotary blades chop off the top of the grass leaves as you push the mower across the lawn. While gas mowers operate via small combustion engines, electric lawn mowers rely on power from either extension cords or rechargeable batteries. Corded electric mowers have been around for years, and they’re great for mowing small lawns, but with recent advances in battery power storage, cordless electric mowers—the new kids on the block—are carving a niche in residential lawn care. If you’re accustomed to operating a gas mower, you may be pleasantly surprised by an electric model’s benefits and options. But you’ll find a few drawbacks as well. • No engine maintenance, such as changing spark plugs, engine oil, or filters. • No flammable gasoline stored in your garage or shed. • Whether using a plug-in or battery model, it will cost between $5 and $10 to operate an electric lawn mower for a single four- to six-month growing season. Fuel to operate a similar size gas mower costs between $15 to $25 per season. • Environmentally friendly electric mowers do not produce carbon dioxide, hydrocarbons, or other fossil-fuel fumes. • Quiet. An electric lawn mower produces 65 to 75 decibels of noise, which is equivalent to a washing machine or a two-person conversation. Gas mowers generate between 95 to 100 decibels of noise, comparable to a loud motorcycle. • Corded electric mowers are limited to the length of the cord, typically about 100 feet from an exterior power outlet. • Mowing time for cordless models depends on how long the batteries hold a charge. Typically, you can operate a battery powered mower for between half an hour to an hour before it requires a recharge, and it takes approximately eight to 12 hours to recharge. If your yard is large, you could be charging the battery halfway through. • Electric lawn mowers, not quite as powerful as gas mowers, can be challenged by thick lawns, where the carpet of grass is so dense you can’t see soil when you separate the top of the blades. Thick grass creates more resistance, causing the mower blades to bog down or leave entire clumps uncut. 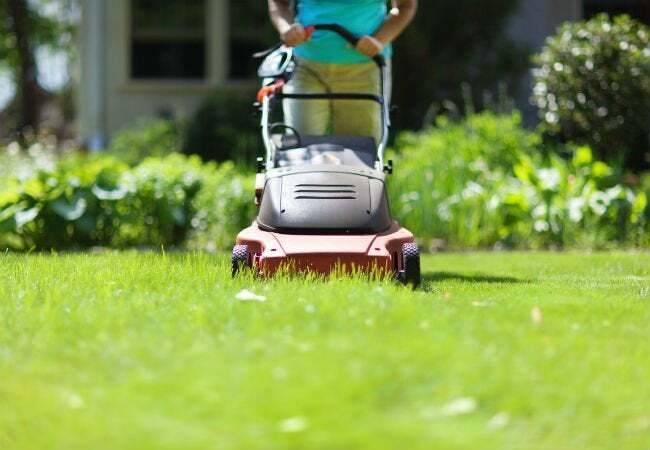 To compensate, electric mower owners raise the mowing height or mow more often (every two to three days), cutting off only the top quarter, or less, of the grass blades. • Electric mowers should not be operated in wet grass due to the risk of shock. • Inadvertently mowing over the cord could cause electric shock. • Cordless electric mowers tend to be more expensive, on average, than gas mowers. The average push gas mower runs $100 to $350, while the average cordless electric mower runs $200 to $450. Corded electric models are the least expensive, however, ranging from $90 to $150. While most models within the category offer similar options, a few features are really worth paying attention to when distinguishing the best electric lawn mowers from the competition. • Swath width. The wider the swath—the width of the path you can cut in a single pass—the fewer passes you’ll have to make. On the other hand, wider swaths require more power, which can translate into quicker battery discharge. Average electrical mower swath widths range from 15 inches to 22 inches. • Battery power. A variety of heavy duty rechargeable batteries (measured in volts) is used to power cordless mowers. The more powerful the battery, the more power the mower will have and the better it will cut the grass. The batteries used to power cordless mowers average between 20 and 60 volts. • Side (or rear) discharge or mulching. Collecting grass clippings as you mow or choosing to let them fall to the ground and decompose (mulching) is a personal preference, but if you want to collect the clippings, look for a mower that has either a side or rear discharge and a bag you can attach. • Cutting height. Most electric mowers, like gas models, can be adjusted to suit a variety of cutting heights, from less than one inch to up to four inches high. • Cordless vs. corded. While many new electric mowers today are battery powered, a number of good corded models are also on the market. Cordless models allow the user to range farther from an electrical outlet, while corded models always have a constant supply of power. 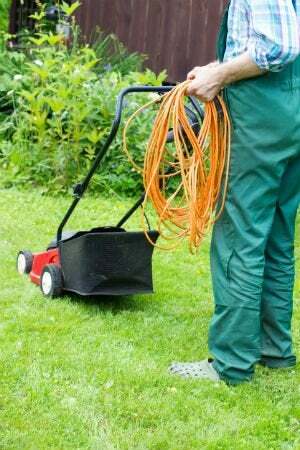 If you choose a corded mower, keep in mind that you’ll need a heavy-duty extension cord; a 12-gauge or 14-gauge cord is recommended. With the help of independent reviewers and customers alike, we’ve identified three of the best electric lawn mower models on the market today. Keep reading for tips on where to begin your shopping. 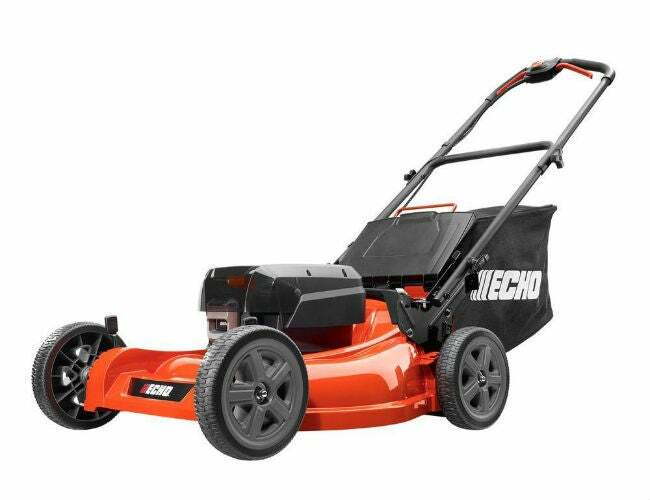 A favorite of Home Depot buyers—who gave it an enthusiastic 4.4 out of five stars—the Echo 21” Cordless Push Lawn Mower boasts a powerful 58-volt battery that runs an average of 45 minutes before needing a recharge and a grass-clipping bag that can be attached to the back or left off for mulching. The Echo also rated high with the independent testers at Consumer Reports, who note that it cuts grass cleanly and its elongated, donut-shaped deck helped keep “clippings circulating around the blade longer,” resulting in finer clippings, which will decompose more quickly if you choose to mulch. Cutting a 12-inch swath, it’s great for mowing small- to medium-sized yards on a single charge, with a minimum cut height of ¾-inch and maximum cut height of 4 inches. It comes with a battery charger, has an adjustable handlebar that folds down for easy storage, and its composite deck is guaranteed for a lifetime against defect while the rest is backed by a five-year consumer warranty. Available from Home Depot. Popular Mechanics calls the WORX 14” Cordless Push Lawn Mower “small but mighty,” citing its ability to maneuver in tight spots, such as around trees or obstacles. Walmart buyers agree, giving the WORX 4.3 stars and raving about how easy it is to push. The WORX boasts INTELLICUT™ technology, which allows the user to select super quiet mode or switch to a slightly noisier power mode when tackling thicker grass. The mower can be used for mulching, or the rear bag can be attached to collect clippings. 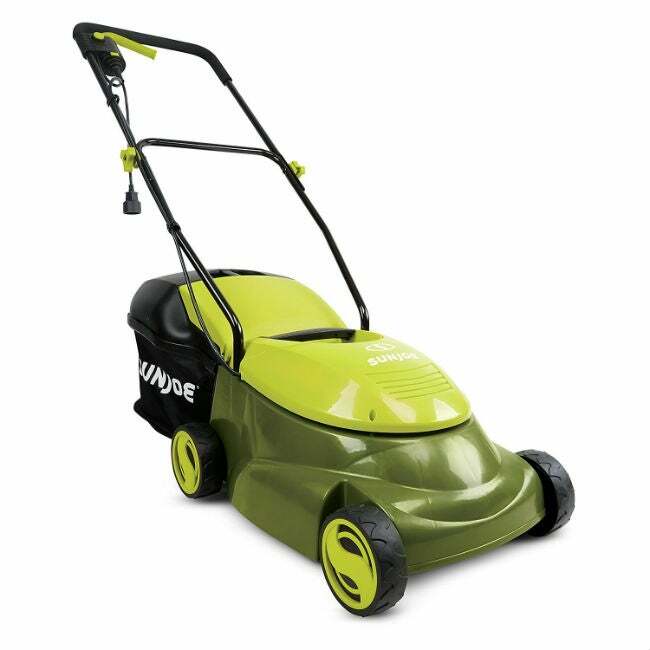 With a 13-inch swath width, it’s best suited to small to medium size yards, and it comes with a 24-volt battery that will mow an average of 10,000 square feet on a single charge. Cutting height is adjustable from 2 to 3½ inches. 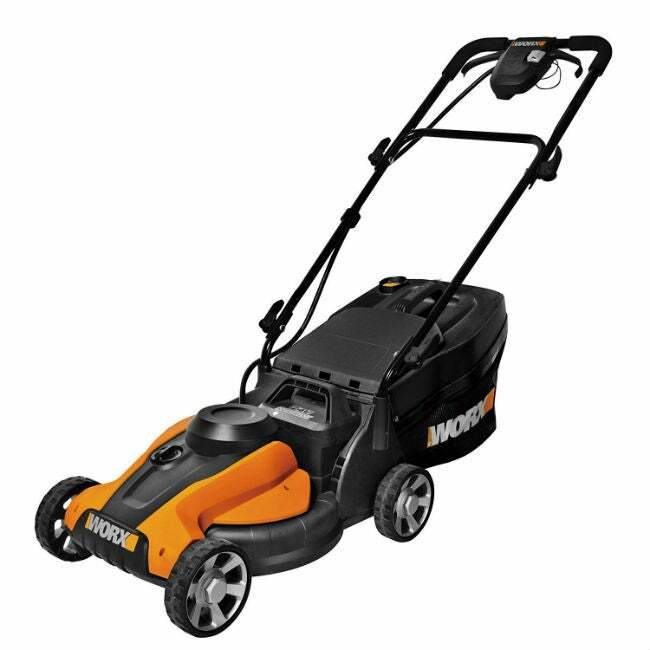 A little powerhouse that folds for easy storage, the WORX comes with a two-year limited warranty. Available from Walmart.com. A favorite choice of Amazon buyers who award it 4.1 out of five stars, the Sun Joe Mow Joe 14” Push Lawn Mower is a budget-friendly, easy-to-maneuver corded model powerful enough to keep small yards in top shape. Because it’s corded, there’s no battery to recharge, so no downtime. The mower’s cutting height ranges from 1.18 to 2.52 inches, adjustable with a “Low/Medium/High” selector. It cuts a 14-inch swath on a single pass and comes with a hard-top grass clipping bag that can snap onto the rear or be left off for mulching. The mighty Mow Joe includes a 100-foot, 16-gauge extension cord (though customers recommend using a heavier, 100-foot, 12-gauge cord for better performance) and its handle folds down for easy storage. It comes with a full two-year warranty. Available from Amazon.